Have you seen the latest Holiday decor trends for 2019 yet? These are the top ideas that you’ll actually want in your home. It’s that time of the year when every home decor magazine and website is talking about the Holiday trends and how you should do this and that to stay up to date. These ideas range from sensible and beautiful to eccentric and outrageous. There are a lot of opinions on what makes decor fresh and up to the day, but what matters is that you create a Holiday spirit in your own home. And that’s all about your personal style. Don’t get me wrong, there is a lot of good stuff in the so-called latest trends, and I would love to use a lot of them myself. But then there are those that are far-fetched. Since you’re going to be flooded with these popular ideas all over the place, we’re making a list of the top ideas that you would want to have at home. 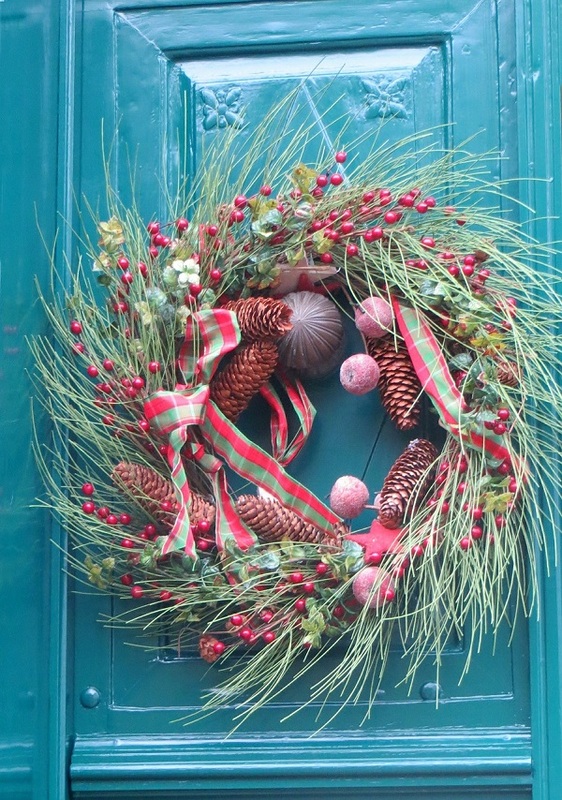 These are Holiday decor ideas that are worthing coming from the magazine covers to your house. Farmhouse style continues to be edgy throughout the year and chances are you already have an accent or two in this style at home. So come Holidays, it only makes sense to have a farmhouse wreath as an alternative to traditional Christmas wreaths. It will add a natural touch to your decor and make it more earthy. Using more natural elements in your Holiday decor is a nice trend to peruse. It looks nice and, well, natural. Use engraved leaves or cinnamon sticks as place cards, or make personalized items from natural wood. These little details help us remember what is most important. Related Memory Foam or Latex - which Mattress is Better? Another nice addition and a why-didn’t-I-think-of-it type of idea, is placing your Christmas tree in a lovely accent vessel. This can be an embellished pot or a galvanized tub (both of which also promote the farmhouse style). It’s just a more beautiful way to display your festive tree. This trend is significant on Etsy. After all, it’s all about handicraft. Having some handmade ornaments from natural wood is, of course, a great idea. It makes your Holiday decor look more unique and personal. You can make these ornaments yourself too if you’re into DIY. Or you can easily order some online. All that talk about using more natural decor materials and going closer to the Holiday spirit doesn’t mean it can’t be fun. You can and should add some pizzazz to your decor. After all, it’s the time of the year to have fun too. So gilded ornaments and greens is a welcome trend. It’s as easy as getting some gold paint spray and applying it to greens or ornaments. We’ve debated a lot whether boho decorations is a sensible trend or not. There’s a lot of colorful, eclectic stuff in most new Holiday home collections in popular stores this year in an obvious boho theme. The problem is that if you overuse this theme, your decorations will look like they’re all over the place. However, a few charming accents here and there will not do any harm. And you’ll be able to boast that yes, you too have got that cool new item from this or that store to be oh-so-trendy. There’s no way to go about without using some modern decor in your preparation for Holidays. On the one hand, you want to stay on edge as far as the new ideas go. And on the other hand, you want to keep it as neutral as possible, so that you can convey your message through all that bling. Some of the modern decorations are pretty amazing too. We love whimsy because it always adds character to the decor. And character is what you need the most in your Holiday decor. This is a new-old trend because we always try to do it every year. So being out your cool unique ornaments out this year too. Using oversized anything is ironic decor. So make sure you know what you’re going when you go for this new trend. Huge Christmas bulbs in your front yard may seem festive and fun but hanging one from the ceiling in your living room might not be the brightest idea. Vintage everything is the go-to decor trick to add personality to home decor. Almost every top designer pledges to this idea. So why not get some items from the thrift store or a flea market to sprinkle some vintage Christmas decor magic in your home this year too?